It's wise not to risk more than you can afford to lose. 2. What Is Thematic Investing? There are no hard and fast rules that determine patterns and levels of investment made by either institutional investors or individuals. However, there are a few common factors and boundaries that will at least influence investors’ decisions on how much to invest. Decisions on how these factors affect investment strategies vary from investor to investor, but in general they must be considered at some level. The first and most important factor has to do with the available assets of the person or institution making the investment. Obviously, investment will be bound by how much money is available, but these considerations are a bit more nuanced. For example, a company with a good deal of liquid assets wouldn't necessarily invest even a sizable chunk of them if they had a lot of other commitments to meet, such as payroll and debt. By the same token, individual investors would be ill-advised to invest money that they normally spend on bills. It all depends on the priority that the investment takes, how it interacts with other monetary priorities and what the expected result of the investment will be. The next factor that will help to determine the level of investment is predictions on results of the investment based on the available information. Of course, no investment is foolproof enough to put all of your money into, and by the same token, even the riskiest investment might be worth throwing a little bit of extra cash at. Even though there is no guaranteed way to predict the market, awareness about possible outcomes will determine what a reasonable level of investment is. For example, it would be much more tolerable to put a large sum of money into high-rated government bonds than into some unknown start-up company. Different levels of investment are appropriate to each situation. The type of asset being invested in is another important factor depending on the individual or organization making the investment. For example, some types of assets, such as financial derivatives, can be highly risky and don't really have any value unless they are cashed in at the right time. On the other hand, certain investments can be much more tangible and can go beyond the simple goal of earning a profit. A good example is real estate. Real estate is clearly not a foolproof investment. However, as a tangible asset in a growing marketplace, real estate is inherently valuable, and can be particularly so if it can help investors expand their operations or accomplish goals. The bottom line for any investment, to determine whether it is acceptable or not, is assessing the level of tolerable risk. Common sense dictates that no individual or institution should ever invest more than they are willing to lose, since, unlikely as it may be, losing the whole investment is always a possibility. Risk should be taken very seriously and assessed painstakingly. 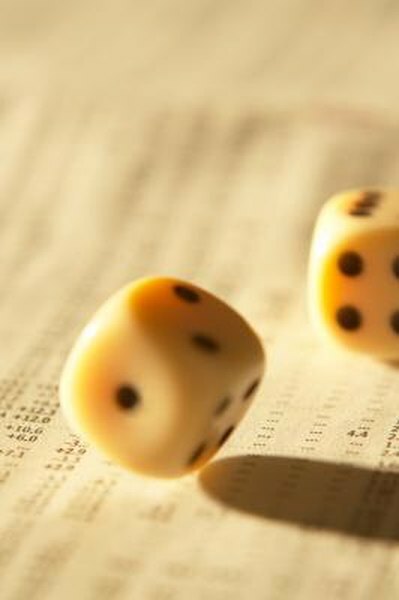 In some situations, there is a risk factor that goes beyond the loss of the initial investment. For example, certain investments might require the investor to spend money on maintenance and upkeep, or might potentially embroil the investor in legal trouble. These factors should always be considered. What Is a Fair Return on Equity Investments? How Much Money Do You Need to Trade Penny Stocks?